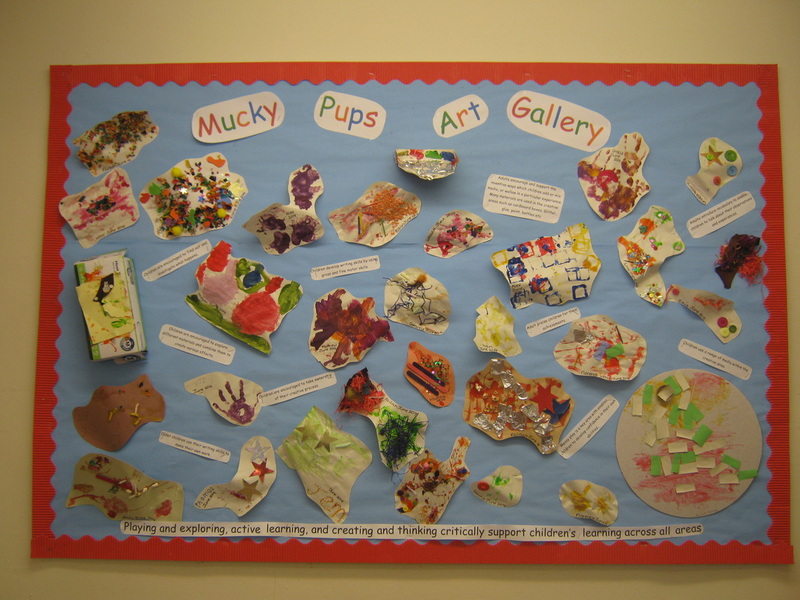 We have decided to include a little section dedicated to the wonderful items the children produce on a daily basis here at Mucky Pups. 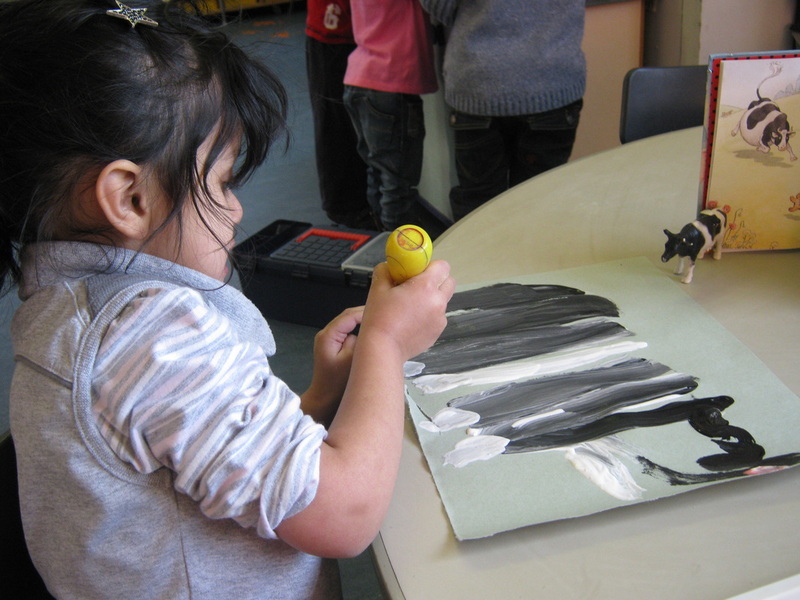 The images show a range of work and are not selected for their artistic merits but rather as an example of what we do with the children at the setting. 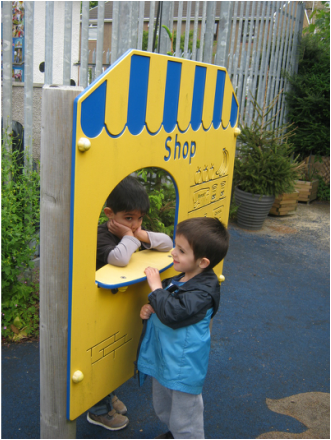 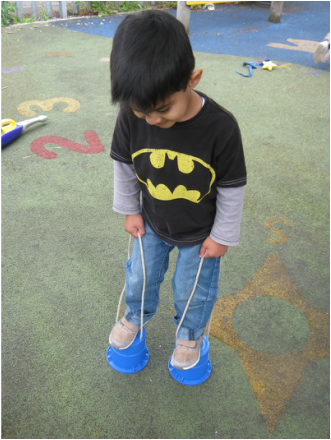 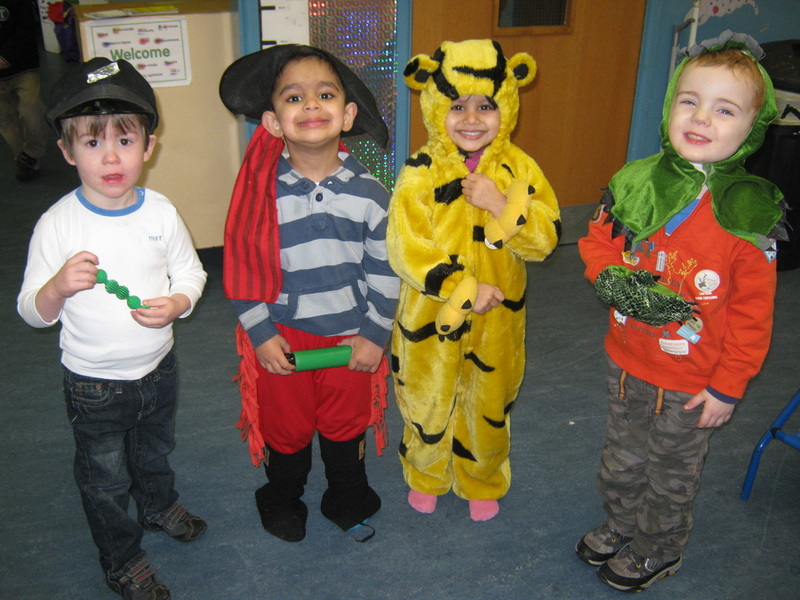 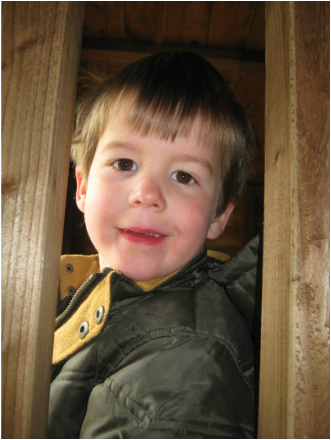 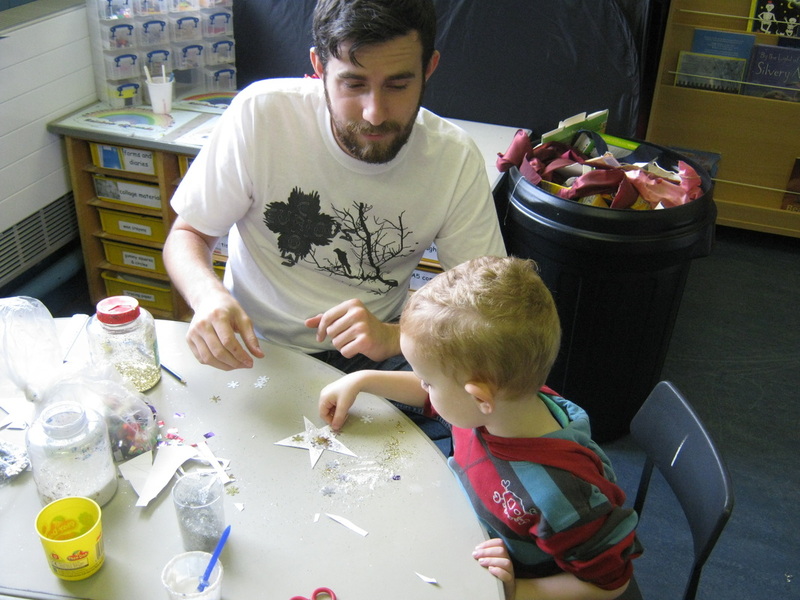 Each child is offered the opportunity to join in with creative tasks but if they choose not to then thats fine too. 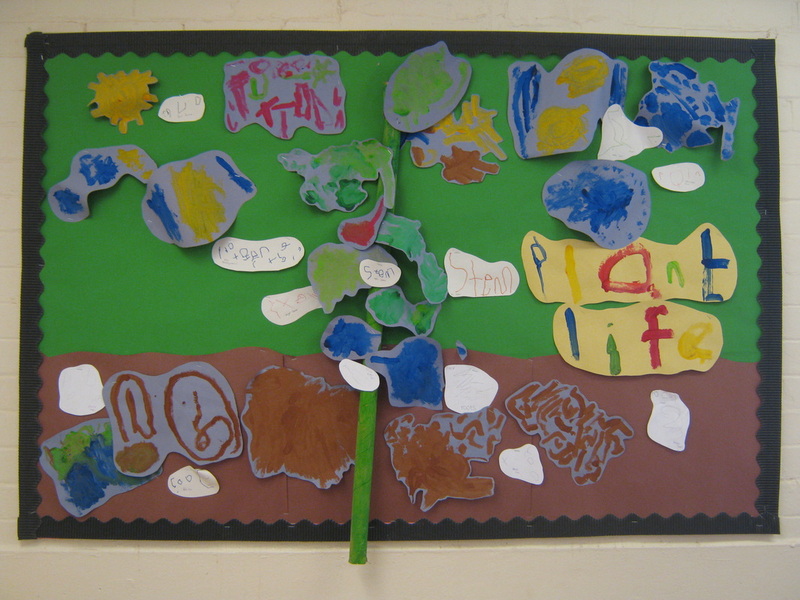 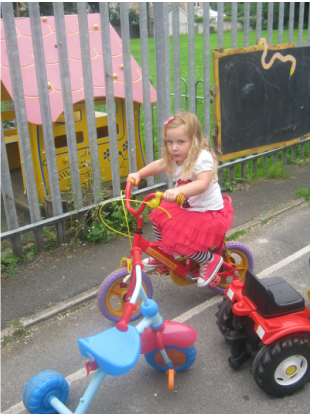 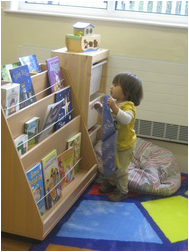 As you can see the children have access to a whole manner of activities, toys and resources here at Pups! 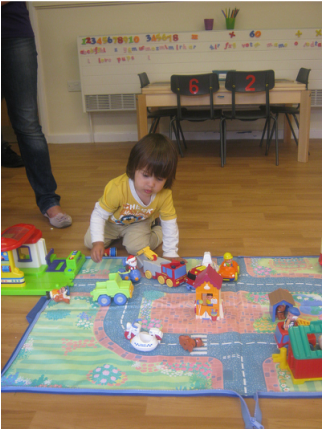 (Above) One child plays with the small world toys...useful for developing narrative skills and motor skills. 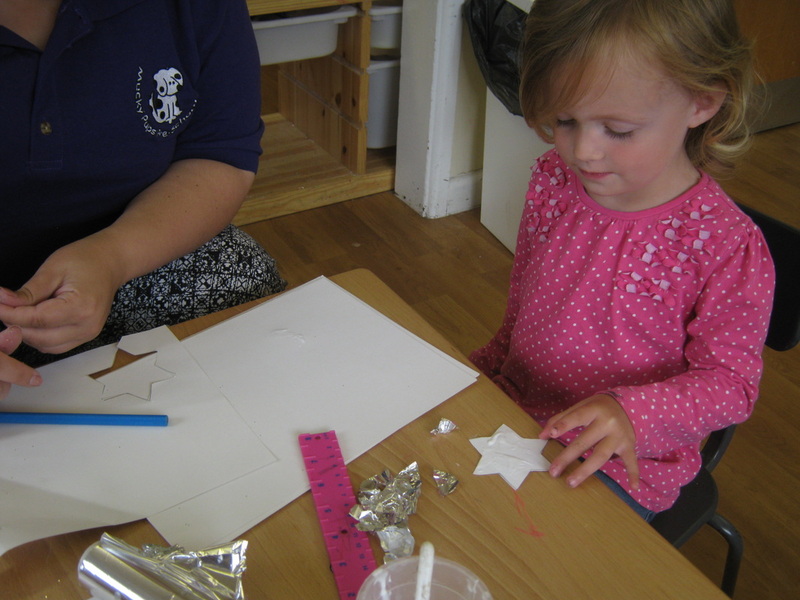 (Above Right) A child works with Joe to create a star for our display. 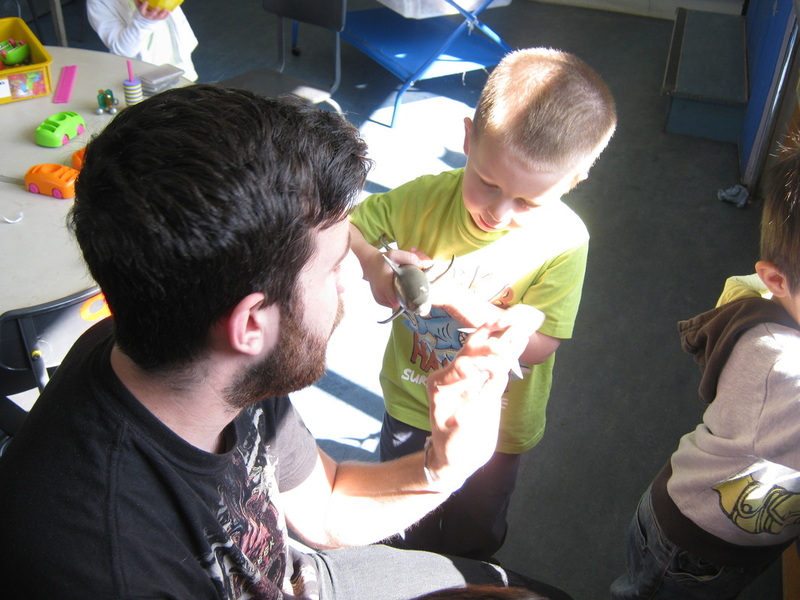 Discussion is a key feature of these staff/child interactions. 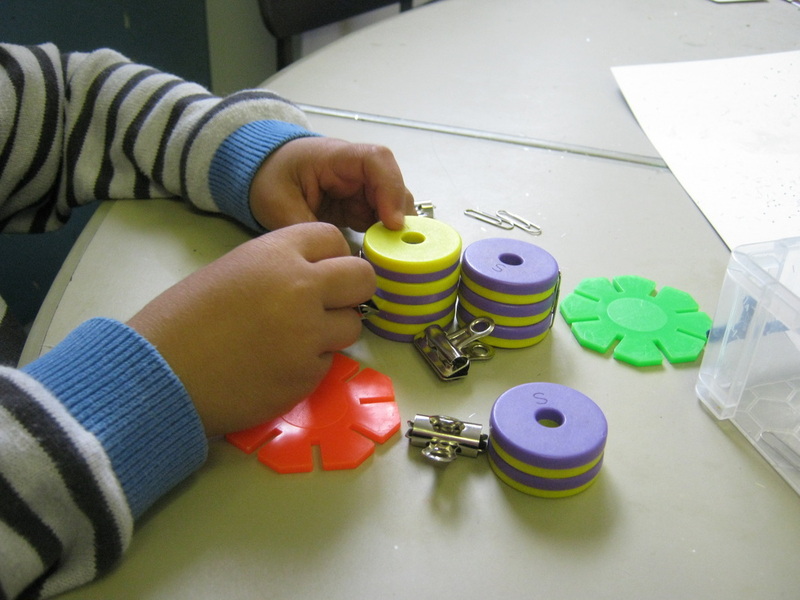 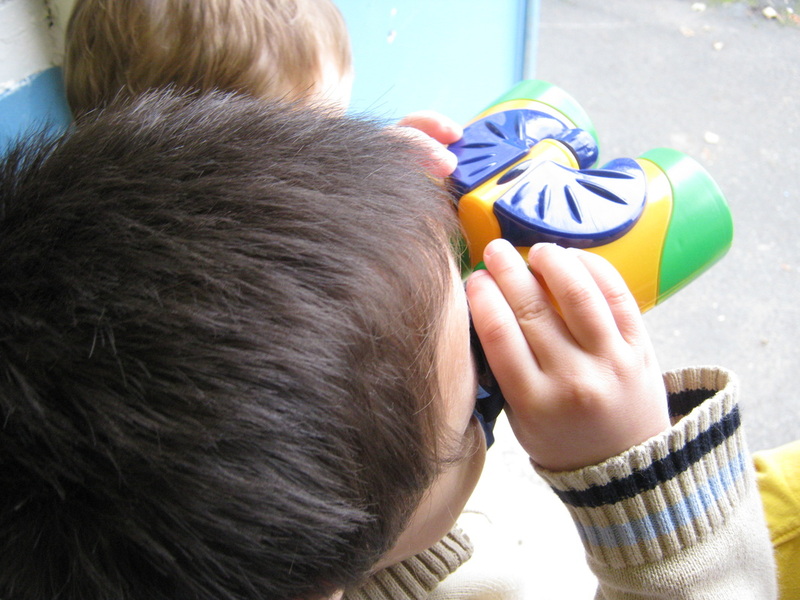 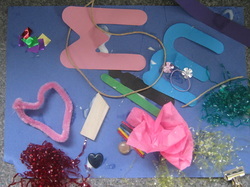 (Left) A child explores the properties of magnets through play. 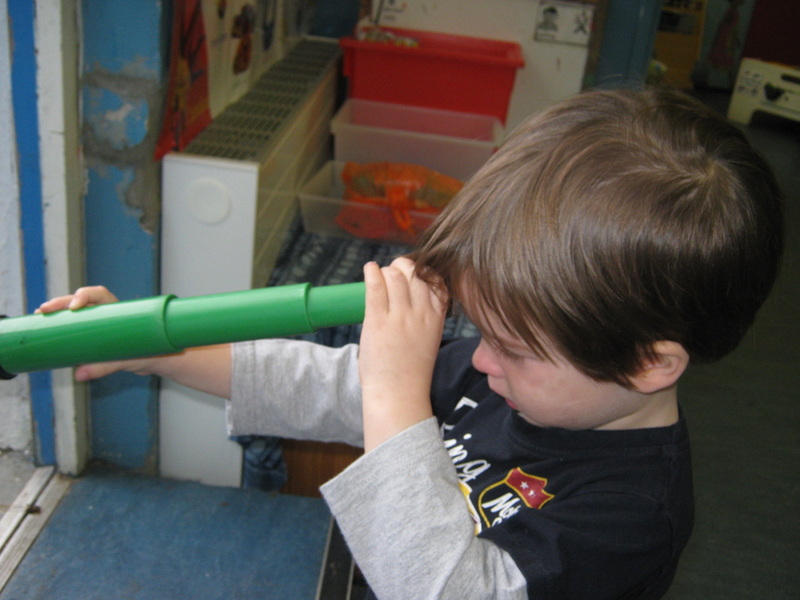 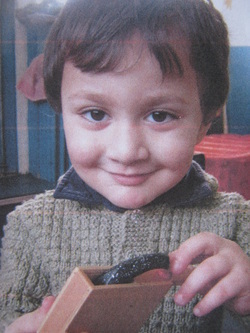 By emptying the contents of his little box on the magnet he can see which are attracted. 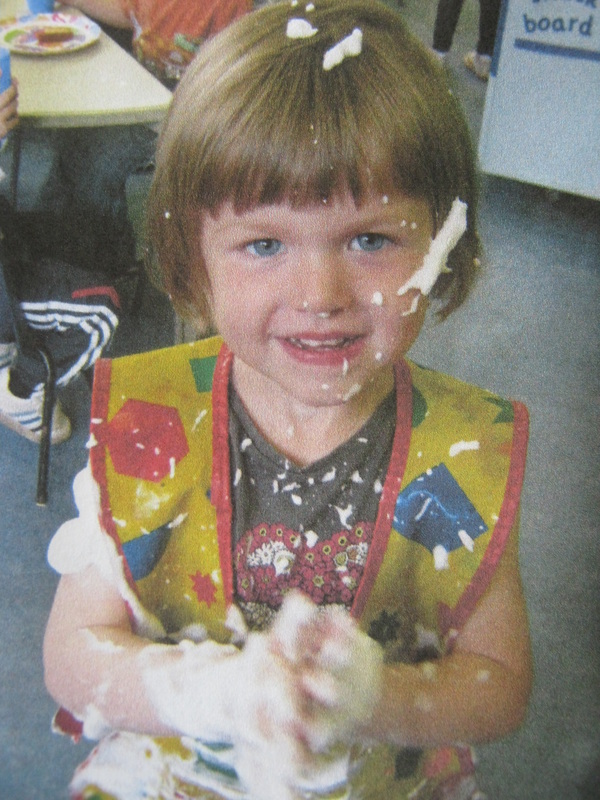 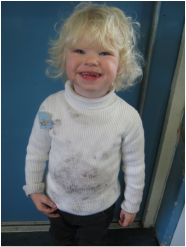 Getting messy is an important part of learning through play. 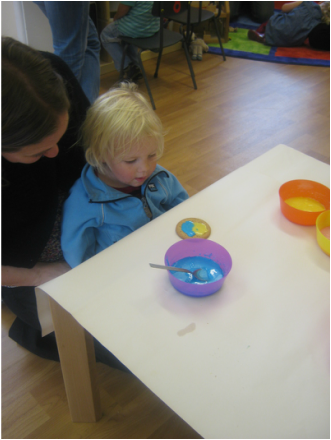 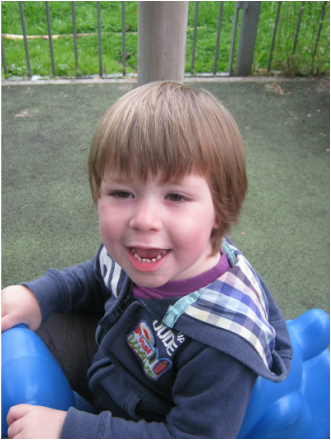 The children at Mucky Pups have access to all sorts of messy/tactile experiences from soap flakes to pasta to gel and rice! 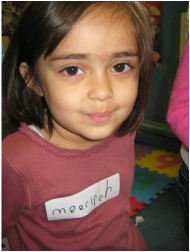 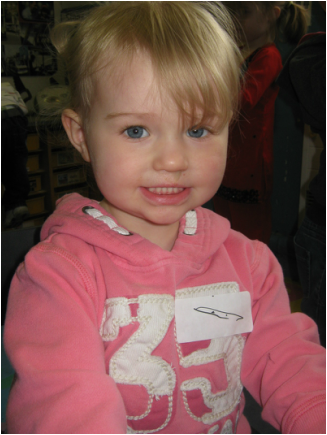 Some of the children decided they would like to write their own name badges...to use in the role-play school. 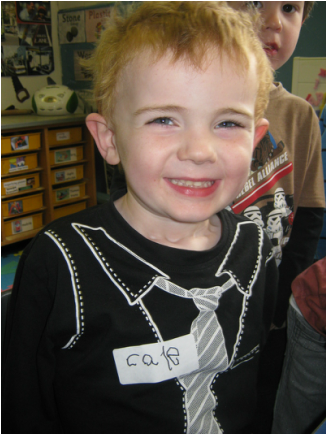 Some of the older children can now form clear letters and some can write their whole name ready for school. 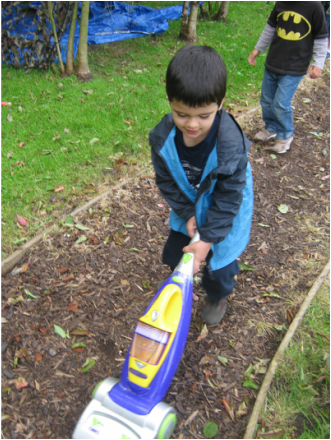 (Below) even the younger children wanted to have a go! 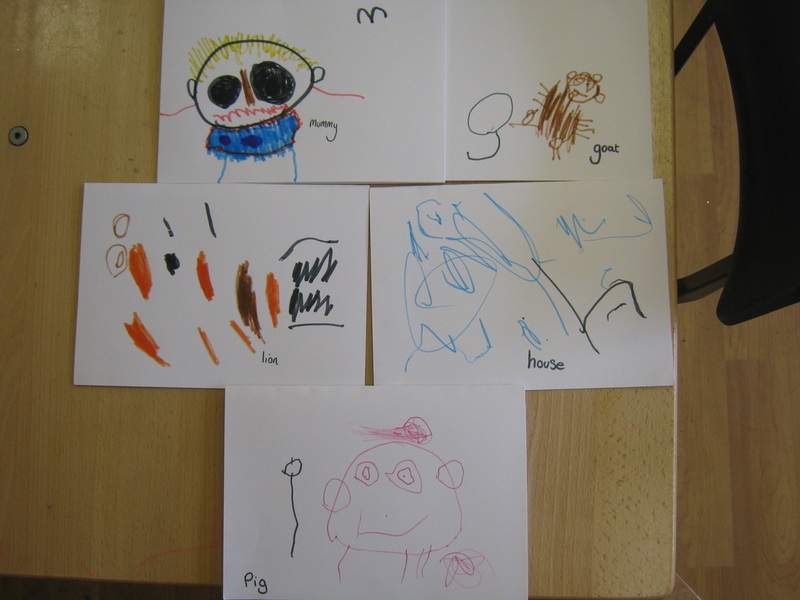 This early interest is the basis of learning to write..the next stage being 'emergent writing' where lines and circles are beginning to be formed.